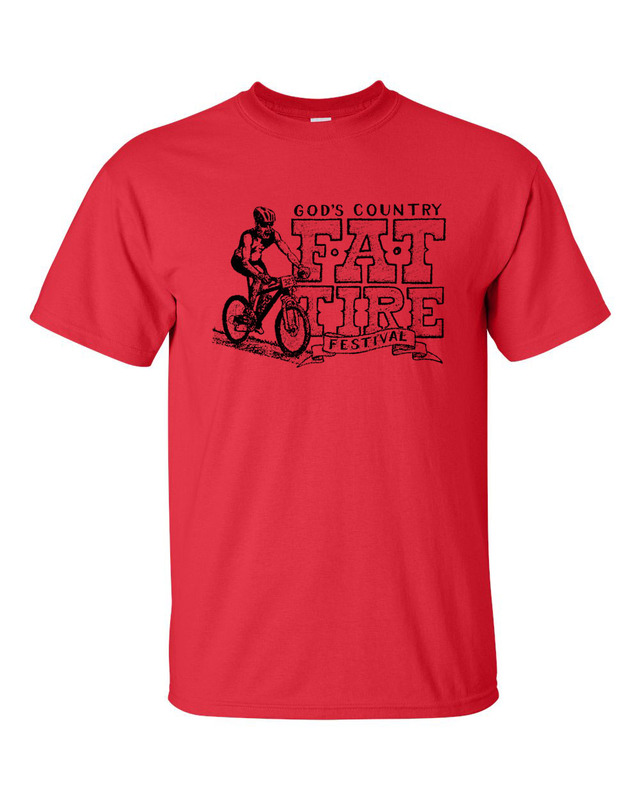 The time has come for the 2016 God's Country Fat Tire Festival. 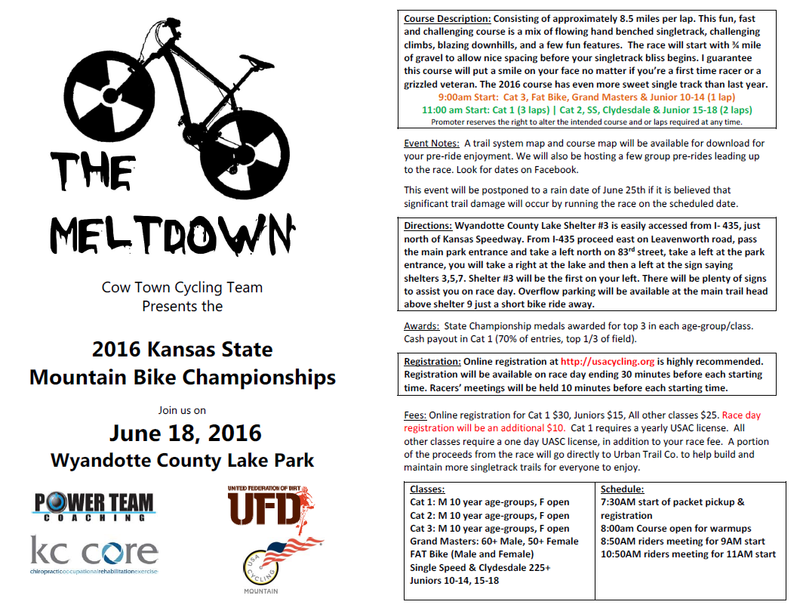 Cow Town Cycling and LMBC would like to invite you to join us in the Lawrence, Kansas over the April 16 & 17, 2016 weekend for two fun filled days of off-road fun. Come out an enjoy super fun course, free post race food, live bands, custom awards, t-shirts and great volunteers. 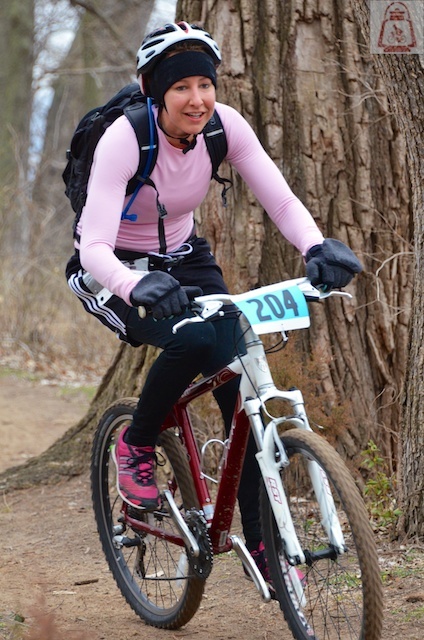 Saturday is the 13th Annual God's Country Off-Road Duathlon. 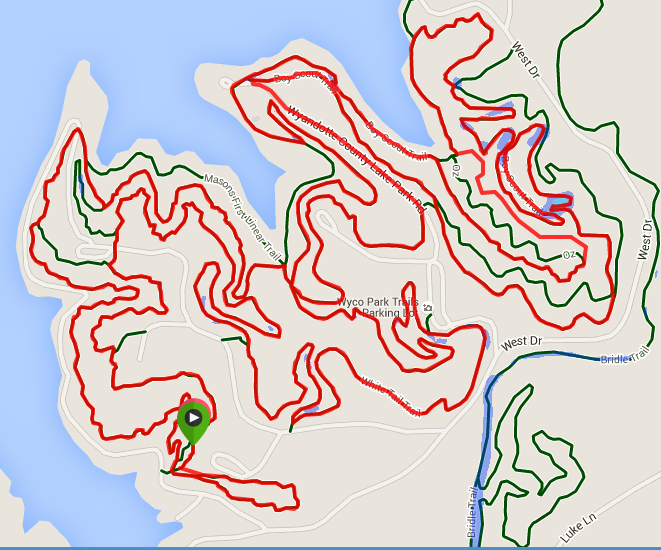 Join us for this fun challenging event. 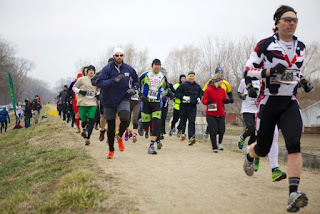 We have a class for all ability levels - Rock the Short Course or Long Course individually or partner up (1 runner, 1 cyclist) if you're not ready to tackle the whole event alone. Sunday brings us the opening round of the UFD West series. 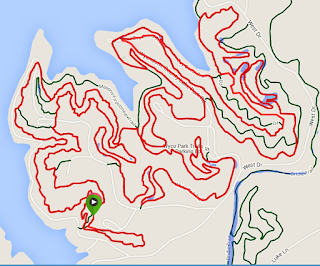 The God's Country Mountain Bike Classic is a traditional cross country mountain bike race with classes for all. 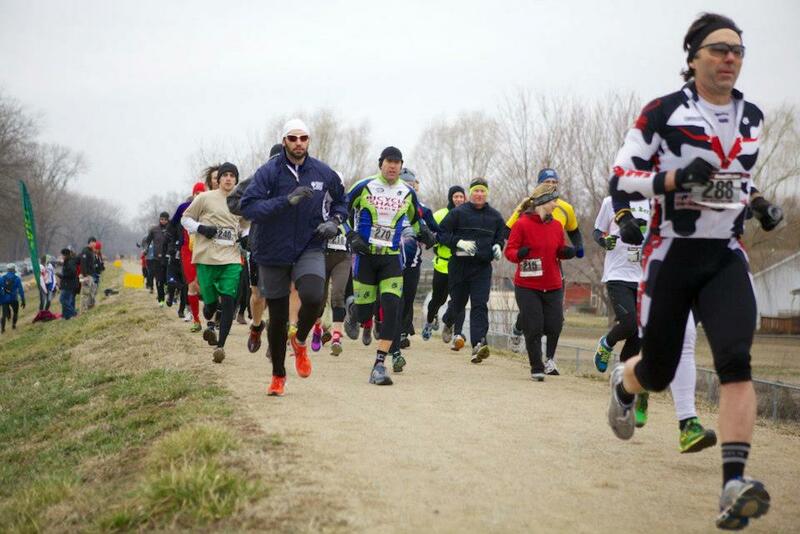 Endurance athletes will test themselves in our 3 hour Marathon class. 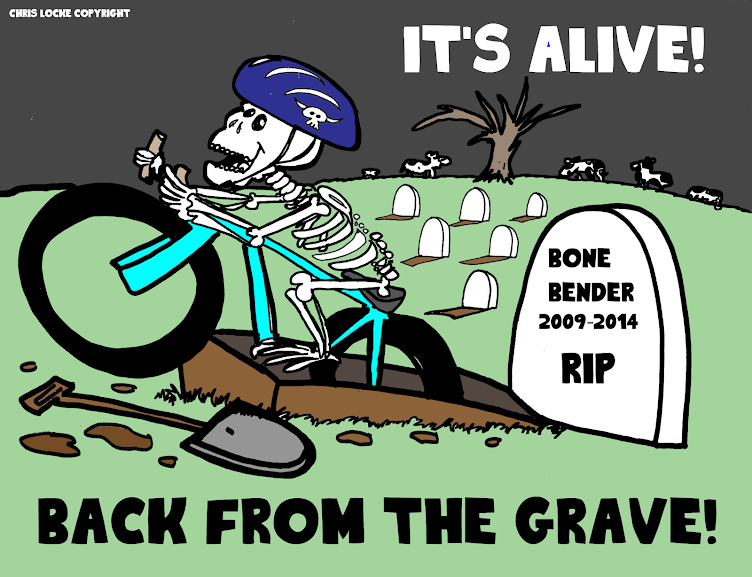 We have classes for all ability levels - Cat 1, Cat 2 & Cat 3 along with our popular Single Speed class. NEW classes for this year included BMX and Fat Bike (3.8 tires) only. 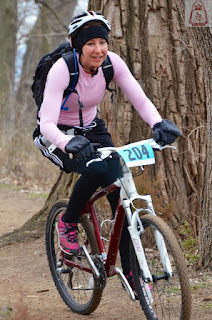 Come out next weekend and enjoy all the action at the Lawrence River Trails. 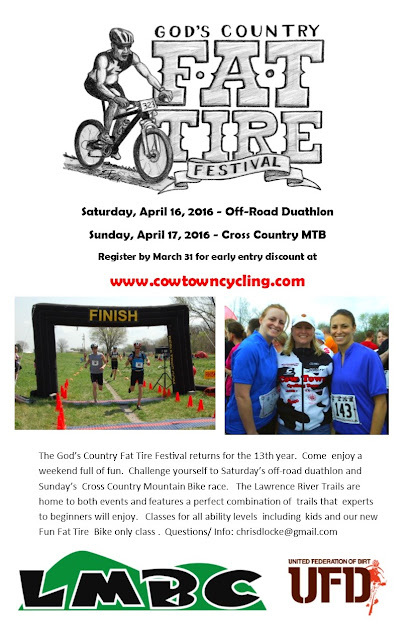 Register before 04/13/16 to guarantee entry and avoid late fees - Register for God's Country Fat Tire Festival. 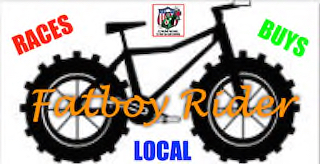 No license require - Entry fee includes all required license fees. Complete info at our Fat Tire Duathlon Site. 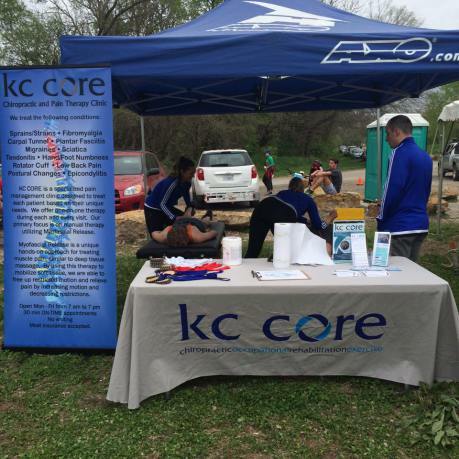 Athlete Guides can be found at HERE.